CSols RFTrackIT™ is a highly configurable scalable sample and location tracking system specifically designed for the hierarchical storage of both room temperature and low temperature samples and sub-samples. The system can be readily used to manage the definition of clinical kits and subsequent dispatch & receipt of patient samples. RFTrackIT also allows you to store anonymized data against each sample being collected / stored. 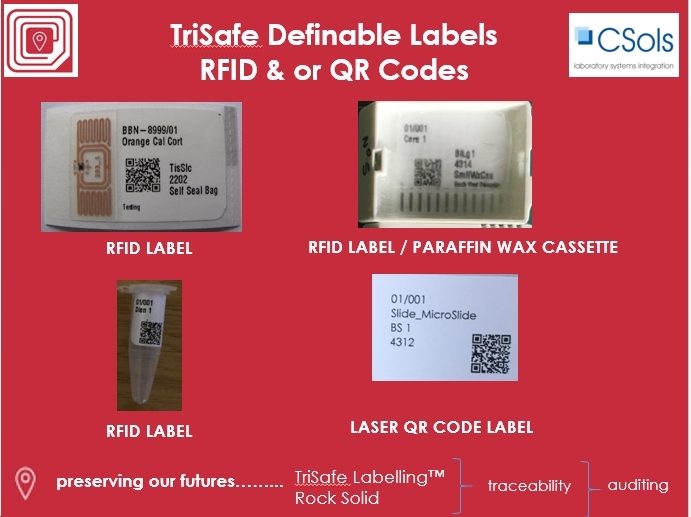 The system can be deployed using just QR codes or a mixture of QR code labelled samples and eg RFID labels used for samples in cryogenic storage. We can source RFID and/or QR code labels to meet your requirements. Workflows can be configured to map your requirements. 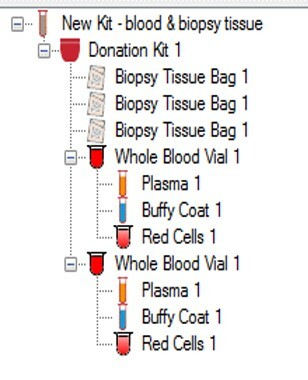 For example the workflow below was configured for an organization sending clinical trial kits to remote sites. Patient samples are collected by the remote sites and anonymous sample data is added to the collected samples. The filled sample kits are then returned to the initiating dispatcher’s site, samples are prepared and placed in storage. At a later time external researchers request samples and they are shipped from central storage to them. 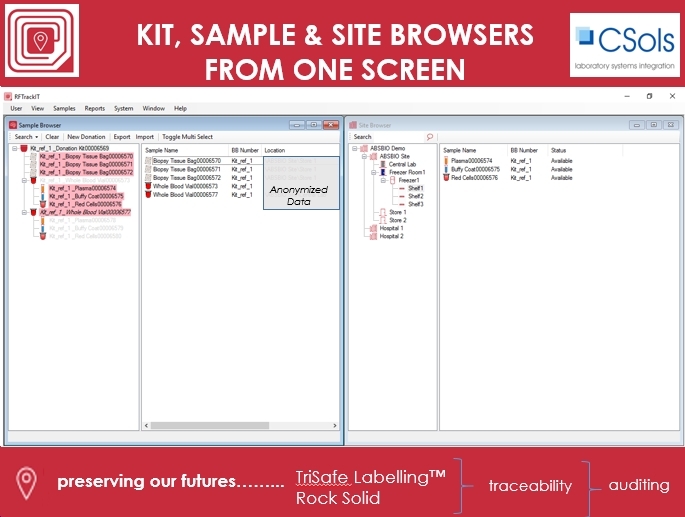 Visibility of where the samples are and who can access them is controlled by RFTrackIT security. This improves regulatory compliance, simplifies auditing and allows both sender and receiver to know precisely where the samples are at any time within the RFTrackIT system. 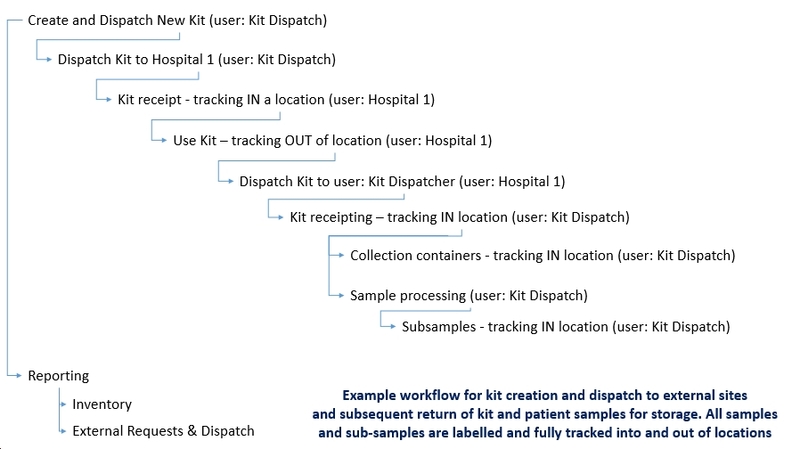 RFTrackIT can be used with MS SQL Server (local or MS Azure) relational databases in a single or multi-user or multi-national or international configuration for biobanks and clinical trial testing organizations.